The Mets outfielder, who is rehabbing a left shoulder injury, hit two tape-measure shots in a minor-league scrimmage. PORT ST. LUCIE, Fla. — The southern tail of Wednesday’s Nor’easter sent winds whipping through First Data Field, but the forceful gusts were no match for Michael Conforto, who blasted a pair of home runs — including what had to be one of the longest balls hit at the Mets’ stadium this spring — during a minor-league scrimmage set up for the off day. Conforto still is rehabbing from the September surgery to repair a torn posterior capsule in his left shoulder, the freakish result of the 2017 season’s last meaningful swing, and he’s not expected to play in a Grapefruit League game before the Mets head north next week. The team’s timetable has Conforto’s return penciled in for May 1, but judging by Wednesday’s feats of strength, it seems very possible for him to make it back before then. There are more hurdles to clear, mostly playing the outfield for up to nine innings while he continues fine-tuning his swing, and neither Conforto nor the Mets want to jeopardize his recovery by accelerating the process. The team has been burned by such optimism in the past. But Conforto’s rapid progress is a very encouraging sign, and seeing him tee off like he did Wednesday, with two homers and a single in 10 at-bats, was a reminder of his All-Star power from a year ago. 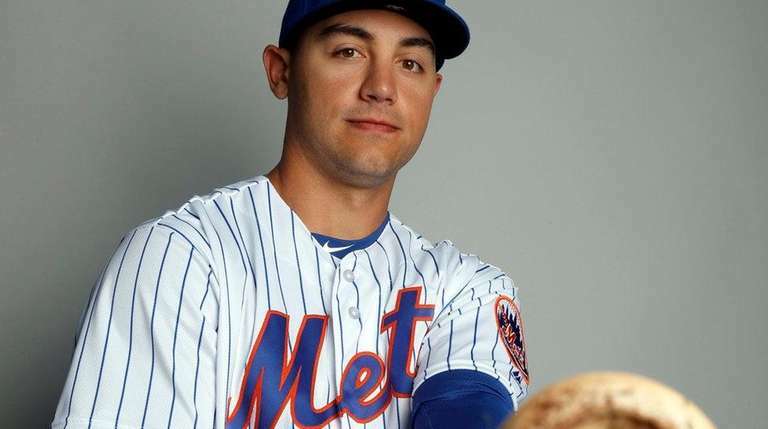 Conforto faced three lefthanded pitchers during the scrimmage, the most notable being David Peterson, the Mets’ first-round pick (20th overall) from last June’s draft. Peterson stands at a burly 6-6, and during his final season at Oregon struck out a school-record 140 batters in 100 1⁄3 innings, thanks in part to a looping, 12-to-6 curveball. 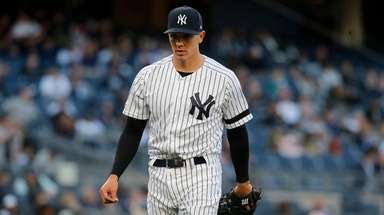 But when Peterson left one up Wednesday — more around the 3 o’clock neighborhood — Conforto hammered a deep home run that sliced through the fierce wind and sailed over the grassy berm beyond the rightfield wall. “Yeah, I got all of that one,” Conforto said, smiling. Peterson whiffed him earlier with the same curve — “that was better located,” Conforto said — and the two talked near the Mets’ on-deck circle after Peterson’s stint was up. Conforto, who attended Oregon State, said there was a little good-natured ribbing after the Pac-12 showdown, and he was impressed by the dozen or so pitches he saw from him. Conforto’s rehab mostly had been relegated to the back fields of the Mets’ facility. A day earlier, he played four innings in centerfield, and with the loosely structured format of minor-league games, Conforto can get as many at-bats as the Mets see fit. That strategy, so far, is working well. Conforto is coming off an All-Star season when he hit 27 homers with a .939 OPS in 107 games, so the Mets want to make sure they’ve done everything possible to meticulously build him back up to that level again, regardless of how long it may require. After the doctors told him, with “99 percent” certainty, that his post-op shoulder won’t be dislocated again, Conforto can simply focus on perfecting his swing again without worrying about any recurrence of the injury. After barreling up Peterson, Conforto launched another rocket shot two innings later against minor-league lefty Daniel Zamora, this one sailing over the centerfield wall, just to the right of the 410-mark. At the loud crack of the bat, a bunch of minor-leaguers in the stands let out a “Woooo!” and the ball disappeared quickly. After watching Conforto punish baseballs again Wednesday, those games in Flushing can’t come soon enough. Manage the Mets: Create your lineup cardHere's your chance to be Mickey Callaway and fill out your Mets lineup card for Opening Day and beyond.